In the typically male-dominated industry of professional songwriting and producing, it is refreshing to come across a female songwriter such as Tamara Savage, who is not only one of the most successful R&B/Pop songwriters at present, but also one of the youngest. She co-wrote her first hit single, “The First Night” by Monica (which reached #1 Pop & R&B), when she was only 19. She has also co-written such hits as “Heartbreak Hotel” for Whitney Houston, and “When I Close My Eyes” for Shanice. In order to express herself, she enrolled in a light opera program, studied theatre at USC and even performed in musicals. She won the lead role in the musical Once On This Island by singing over the phone to the producers of the play. While she was in college, she started writing and demoing more songs, and was introduced to her manager through a few friends. When he first met Savage, Platt was looking for a new writing talent, and recognized that even in her rough demos, she had strong potential as a writer. He signed her to a development deal with EMI while she was still in college, and immediately began working with her. Tamara Savage with Monica and Big Jon Platt. Nevertheless, EMI flew Savage to Atlanta to co-write a song with Jermaine Dupri for the South Park soundtrack, which would potentially be sung by Janet Jackson. But when Savage began working with Dupri, they decided to focus first on writing a song for Monica. “Jermaine and I went into the studio and wrote ‘The First Night,’ which was the first song we wrote together,” recalled Savage. 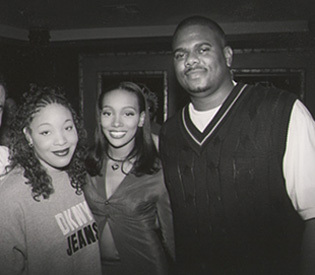 This song was selected as the second single from Monica’s album, The Boy Is Mine. In mid-1998, the song become a #1 hit on both Billboard’s “Hot 100” singles chart and the R&B chart. Since achieving this breakthrough hit, Savage has been working literally non-stop. She has had cuts with Deborah Cox, Destiny’s Child, Shiro, TLC, Tatyana Ali, Tracie Spencer, Juice, Mya, Mary Mary, LaTocha Scott & Chante Moore, DJ Quik, Toni Estes and Tamar Braxton (Toni’s sister). The success of the “Heartbreak Hotel” was soon followed by her song, “When I Close My Eyes” (co-written by Warryn Campbell), which was recorded and released as a single by Shanice. “When I Close My Eyes” subsequently became Savage’s second hit single that year. Her list of collaborators has also grown. 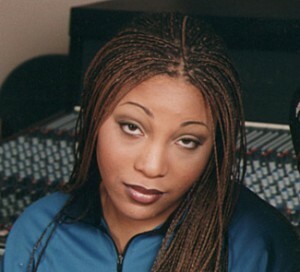 Along with Soulshock & Karlin, Jermaine Dupri, Warryn Campbell and Teddy Riley, she has also written with Anthony Nance (who collaborates with Babyface), Guy Roche (Christina Aguilera), Cutfather & Joe, K.G., Rodney Jerkins and new writers such as Joey Elias, Damon Crawford and Jazz Nixon. “It’s just really weird how all this worked out,” said Savage. “I was writing and demoing songs to get myself a recording deal, I got a publishing deal first, and it all kind of went backwards. But I wouldn’t have it any other way. Since I started writing songs and giving them to other artists to record, I’ve started enjoying what I do even more. I can’t wait to hear different artist versions of my songs, even though most of the time they sing it like I’ve done on the demo anyway,” she said with a laugh. Savage is also looking to take a more hands-on approach in the studio with artists, in terms of producing the overall track and arranging vocals. “A lot of times I write and I run; I write the song and then I have to dash off,” explained Savage. “But now I’m working at being more one-on-one with the artists. Also, I don’t really place any importance on writing specifically for artists. I really don’t want to focus on, ‘Oh, I’m going to write a Toni Braxton type song or a Whitney Houston type of song.’ I just want to focus on writing good lyrics and melodies, and then [the songs] get placed with the artists,” she said. Although Savage admits that sometimes she feels like taking a break from her busy schedule, she currently has songs set for release on new albums by Faith Evans (Bad Boy/Arista), Mary Mary (Columbia), Monica (J Records), Nicole Wray (Elektra), So Plush (Columbia), H.E.A.T. (Columbia), Kenny Lattimore (Arista), and TLC (Arista). She is also writing songs for O-Town (J Records) and the new Whitney Houston album.